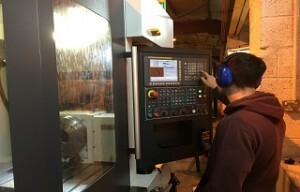 Here at Archway Engineering we utilize both modern computerized CNC machines and traditional manual lathes and milling machines. We believe this approach gives us better flexibility when producing large batch orders or one-off custom pieces. 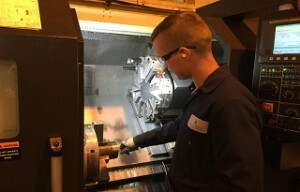 As our industry continues to grow and customer workloads increase we are investing heavily in CNC machining and turning centres. This technology gives us improved lead times for larger orders. CNC technology also allows us to monitor and maintain uniform sizes and quality across our component range. The drilling industry often presents challenges for our customers. 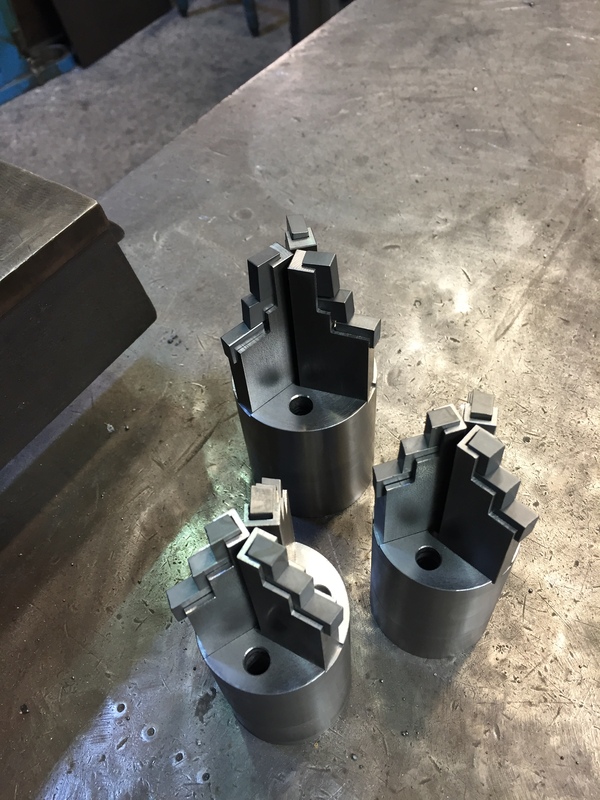 By working with them and interpreting their requirements we can quickly turn around any custom items using more traditional engineering methods. 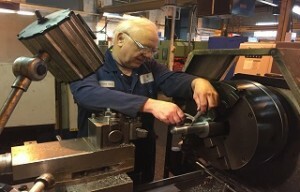 As part of the manufacturing process some items have to be fabricated from machined parts. We have full fabrication facilities and machinery. 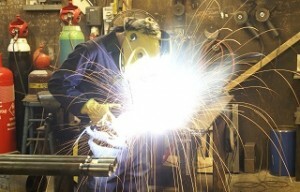 Our staff includes coded welders and qualified mechanics. 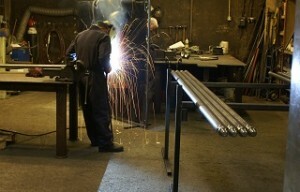 All our welding is done in house by our coded welders. All standard items are welded using precisely made jigs and supports. Our team of qualified fitters are responsible for building, servicing and testing our rigs, assembling core barrels, trip hammers, inflatable packers and all other assemblies. They check and test all items prior to despatch and delivery. They also work closely with our customers in providing bespoke rig specifications and many other custom items. 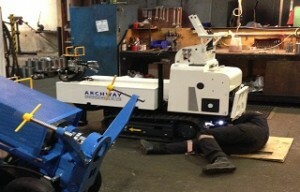 Here at Archway we are often asked to manufacture out of the ordinary equipment, we work closely with our customers to transfer their ideas from paper to production to finished goods. 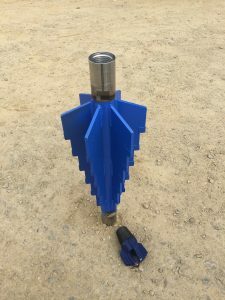 Here is a 300mm diameter drag bit for use drilling in Malta. The same customer also requested drag bits he could connect to casing rather than drill rods. Here you see fine examples of milling work. 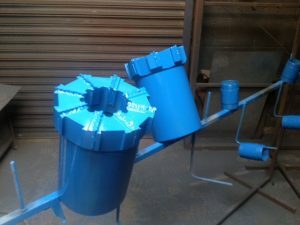 These are large diameter core heads manufactured as bespoke one offs to a customers exact specifications.